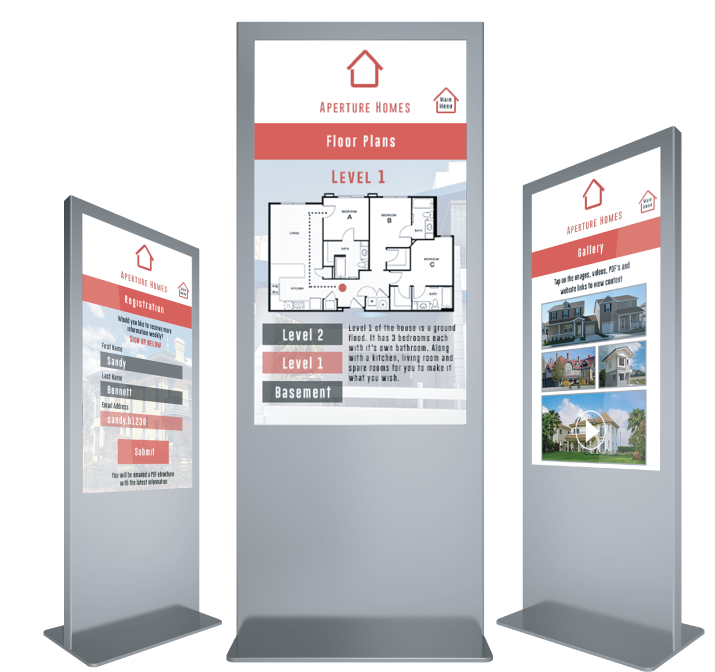 touch app and digital display kiosks. 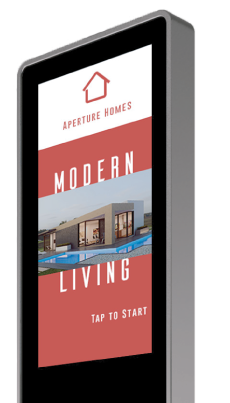 Eflyn Sales Touch is an interactive, real-time display designed to actively engage prospects from the minute they enter your sales or leasing office. 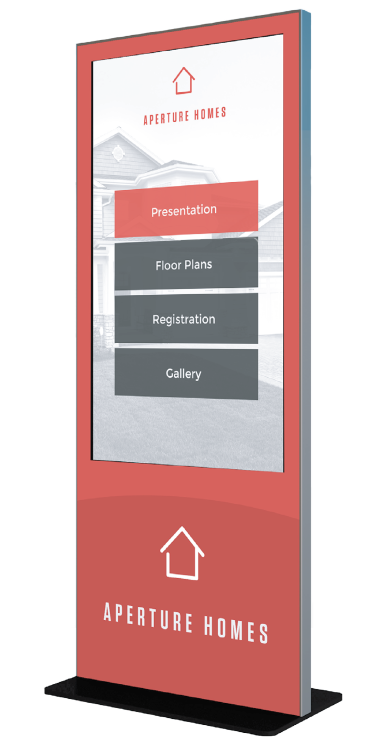 Utilizing touchscreen technology, SalesTouch encourages home shoppers to mix, match and select floor plans, elevations, home sites, and options/upgrades. 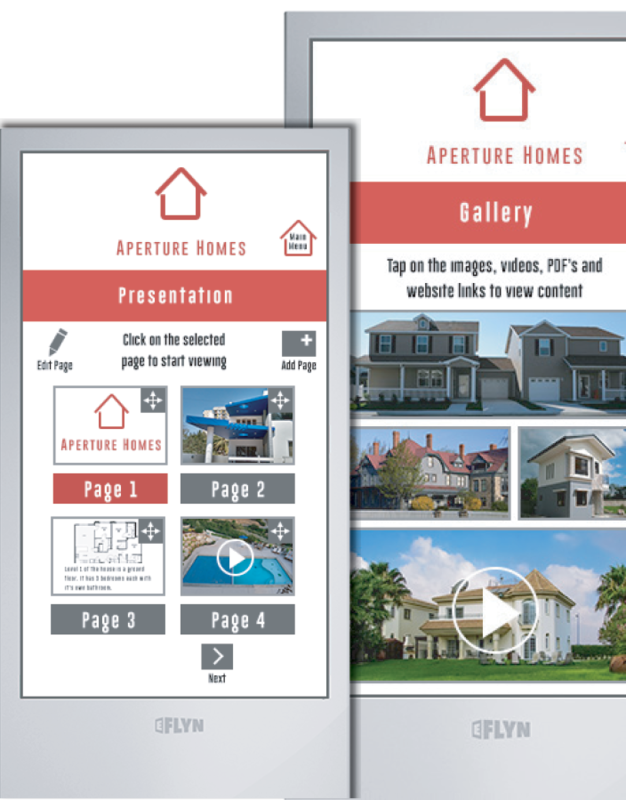 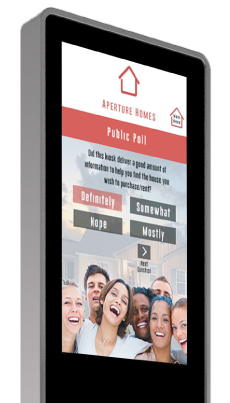 We provide a complete end to end solution, adding all your floor plans, images,add you unlimited touch points and make this application up and running fully customized with your corporate branding.